On Thursday, news that Target will be shutting down all operations in Canada was met with a melange of disappointment, celebration, and good riddance. People mostly could not help themselves to a good ol' knee-slapping one-liner. Looks like Target missed the mark in Canada. RT @iancmclaren: Looks like Target missed the mark in Canada. So #Target missed the mark in Canada? I guess Target missed the mark, eh? Yeah, I'd unfollow me for that. I guess Target missed the mark, eh? Yeah, I'd unfollow me for that. #Target totally missed its mark in Canada! Not surprised Target is shutting down. They missed the mark (pun intended). 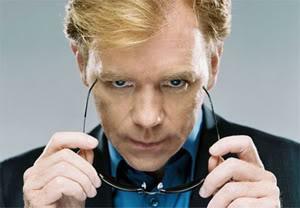 I guess you could say Target..... (insert Horatio putting on sunglasses)Missed the mark. Teacher: "Target missed the mark entirely here in Canada." @an21gentile : "Target... missed the target." Looks like they missed the mark RT: @mattgallowaycbc: Target announces it's closing all its Canadian stores. It has 17,600 employees. They completely missed the @Target in Canada. 20. News headlines were not immune.